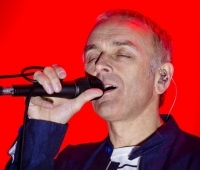 RIGA - The list of artists booked for this year’s Positivus music festival includes British electronic music band Underworld, the festival’s organizers informed LETA. Underworld rose to popularity in 1996 with their single Born Slippy (Nuxx), which also appeared on the soundtrack of the film Trainspotting. After releasing their Grammy-nominated album Barbara, Barbara, We Face a Shining Future” in 2016, Underworld has played on the main stages of Coachella, Glastonbury, Summer Sonic and other international music fests. This year, Positivus festival will take place in Latvia’s seaside town of Salacgriva on July 26 and 27. British alternative rockers The 1975 and Australian band Cut/Copy are also expected to perform at this year’s Positivus. From 2013 to 2017 Positivus had been a three-day event, but this year the festival’s organizer Girts Majors has decided to change its format back to two days.